Spring! What a wonderful time of the year. The sunshine becomes warmer, dormant grass awakens from its necessary winter nap, trees seem to wake up and wave hello to all who take notice, and life springs from nearly every place we look. We also get to experience the spring rains which boost the season into its new identity. Your students might like to start a nature journal during this season. There is so much to record! Here are a few ideas. Begin by noting the daily weather patterns and discuss how it relates to the greening of the grass. Make a grid in the journal and record the daily temperature, rainfall quantities, amount of sunshine, types of clouds, etc. Reinforce the journal concept with a study of cloud formations. Sketch a tree and the growth of its leaves. Look up the scientific name of the species and record it in the journal along with its common name. Leave space in the journal for revisiting that section during the season and resketch the leaves as they grow. Once the leaf is full grown, leave enough space for a sketch of the colorful Fall leaf. You could even begin a leaf collection of several species beginning with the smallest leaves in the Spring and ending with a colorful Fall collection. Record beautiful poetry about the spring season in your journal. Perhaps adding appropriate Scripture, personal thoughts, and beautiful artwork could complete each entry. Plant seeds and record their growth. Small children love to plant bean seeds. Plant the bean seeds in a glass jar so that the growth is visible. They grow quickly, and the seeds are so large that the shoot, growing up, and the root, growing down, are very easy to see. Draw the growth stages in your journal. Label all parts of the plant. 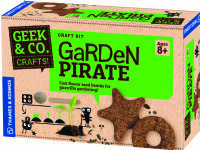 Older students might like to plant flower and vegetable plants. Record the growth data in your journal using Metric measure. Keeping careful records now allows the children to gain experience in recording data. Once they enter into the upper level sciences, lab reports will be required. Have an insect section in the journal. It wouldn’t be Spring and Summer without our little “friends”. Again, look up and record their scientific and common names, draw the species, label its parts, record where the insect lives, and what it eats. Study the metamorphosis of the insect. Does this species experience complete or incomplete metamorphosis? Draw its life cycle. Start an ant farm and observe the diligent activity of the ant. Observe in nature or via video a butterfly leaving its chrysalis. The video “City of the Bees” examines the life of the honey bee. This video shows the inside of the hive, how the bees gathers nectar, how the bees communicate, and more. It is fascinating to watch. Don’t forget to serve toast and honey! Using colorful photographs as your guide, sketch the bees and their hive into the journal. Label as mentioned before. Begin a rock collection. Draw what you see. Hand magnifiers or stereo microscopes allow for more detailed viewing. I haven’t met a child yet who didn’t have a touch of “rock hound” him or her! This activity just about requires a field guide for proper identification. A beginner guide works better for children than an overwhelming larger volume which might be harder to use. Go on a nature hike and record what you do and see. Take a pair of binoculars for bird watching. Make sure to begin a bird section in your journal. They are so beautiful. Set up a bird feeding area in your yard and keep a field guide handy for quick identification. Learn the common birds of your area. These are just a few ideas for you nature journal. Allow your imagination to help you plan. Your children might enjoy this activity better if they can decide which area in their journal to develop first. Always include art and poetry in the journal. Supply your students with a set of colored pencils, drawing pencils and a good eraser. One thing we have found is that children don’t want to “mess-up” a page in their journal, so we recommend that each page be completed in a loose leaf format then placed in a binder when the child is satisfied with the page. If you use a binder with a clear plastic cover, the students can decorate a page and insert it into the cover for a custom look! For upper elementary and middle school students, look up the taxonomy of the species being studied and note it in the journal. The more you do toward preparation for high school biology the better. Nature journaling will also require nature studying. 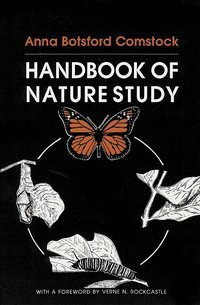 The “Handbook of Nature Study”, by Anna Botsford Comstock, http://www.workshopplus.com/ProductCart/pc/viewPrd.asp?idproduct=734&idcategory=0 is an excellent resource for a teacher or parent who needs to know more about topics in nature. The book was originally published in 1911 and contains 887 pages. It is divided into 4 major sections: The Teaching of Nature Study, Animals, Plants,and Earth and Sky. It is a store house of information to help you teach you children/students about nature. Please see.http://www.workshopplus.com for information about both this book. Below are some additional resources that you can use for your spring lesson planning. You may have to copy and paste these links into your browser. Make the world a little greener by depositing seed “bombs” in forgotten outdoor spaces. Using fun shape molds, you can cast seed bombs from fast-growing flower seeds, growing medium, plaster gypsum, sand, and water. Once the seed bomb shapes have dried and hardened, they can be distributed in appropriate outdoor places. After a while, a beautiful cluster of flowers will explode in those spots. Learn about botany, flowering plants, seeds, nature conservation, tree planting, and more. Adults and children will enjoy building this old fashion, hanging bird feeder. 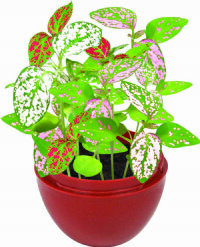 These carefree plants are easy and fun to grow and will thrive in any terrarium. With so much to see and do this Spring, don’t forget to take time for simple, peaceful, observation. Children need quiet time in their lives to reflect, think and form opinions about life. They can learn form observing nature, listening to nature, studying nature, drawing nature, planting, being outside, getting dirty, splashing in a creek, and chasing butterflies! If we can teach them to enjoy these lovely God-given gifts, we are giving them an enormous gift that no mass media gimmick can ever match. All resources mentioned in the article are available through Nature’s Workshop, Plus.